CHAOS AND DOOM is now available! I'm proud to announce that my short story collection, CHAOS AND DOOM, is now available from Pro Se Press! The collection features 9 tales of horror, mystery, and suspense! The list of stories includes: Citadel of the New Moon, Bone Crusher, Stargazers, Tomahawk Mountain, Slaughtership, Demolition, Claustrophobia, Paranoia, and Hellhound. Cover art by Jeffrey Hayes, editing by Jessica Fleming, and logo/graphics/layout by Percival Constantine! 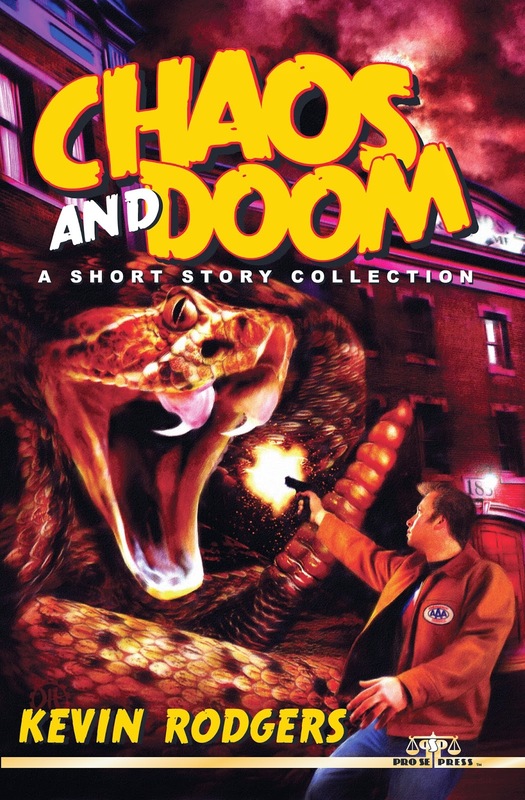 CHAOS AND DOOM is available in paperback and e-book formats at http://www.amazon.com/Kevin-Rodgers/e/B00CCGRIZU and is also available on Smashwords and Barnes and Noble.com!